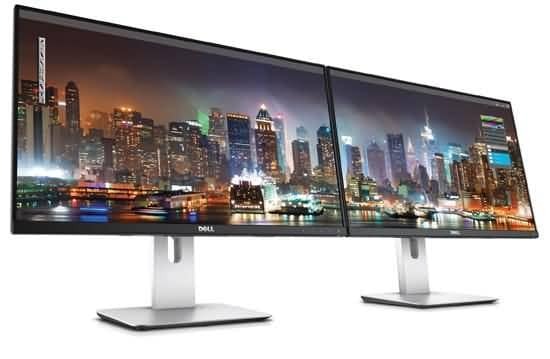 Dell has designed several 4K monitors till now and all of them have gained great response form market. Dell P2715Q is another addition to their UHD 4K series and this monitor is performing well against all its competitors in market. Manufacturers have designed this Monitor with all advanced features like high end aspect ratios, excellent refresh rates and the IPS technology itself ensures pro quality performance. If you are planning to buy a new monitor in 4K range then it is good to have a look on performance of Dell P2715Q because its user friendly design with wide customization options will definitely catch your focus. This IPS panel serves users with ultimate color distribution ability. There are multiple options for peripheral connectivity. You will find this monitor fully adjustable with extremely high quality stand. Design is not much appealing. Dell P2715Q demands high performance GPU if you want to access 4K games on this monitor. The response time is quite annoying. There are very few color calibration choices. When you take this monitor out of box you will find its design little boring but the setup options are quite satisfactory. The stand is sturdy and durable enough so that users can make easy adjustments for pivot, tilt and height etc. If you need to mount this monitor on wall then you may have to make separate investment because this arrangement is not included in package. One favourite feature of most of Dell users is the physical button placement of this monitor. They can be easily operated and the adjustments can be done quickly. The joystick based controls and resistive easy to click buttons make this monitor suitable for office use. There are several user friendly connectivity options on Dell P2715Q model. 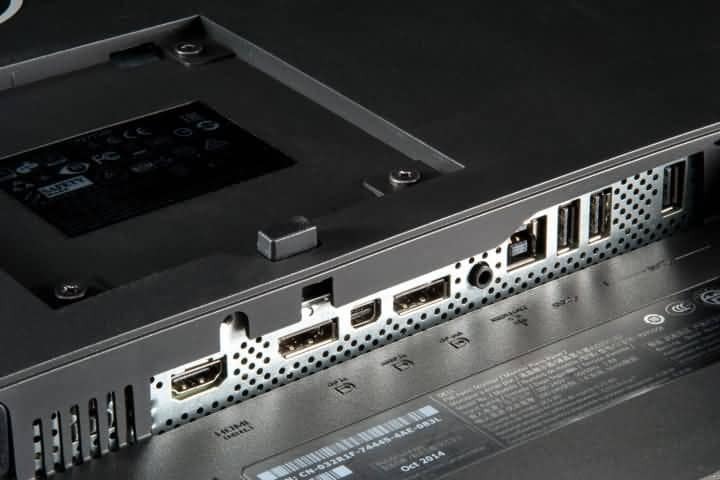 You will be able to access all essential ports ranging from USB 3.0 to HSMI 4.1 on this monitor. It has Display Port and Mini Display Port where the first one can also support daisy chain connectivity. The HDMI 2.0 and DisplayPort 1.2 assists users to enjoy games on this monitor with smooth rendering using 60Hz frequency control. It becomes much easier to enjoy wider input connection options on Dell P2715Q and the easy control adjustments allows easy access to all settings. There are 5 USB 3.0 ports and one 2.0 port that are enough for video transfers as well as for handling audio signals. The On Screen menu of Dell P2715Q is quite impressive and it is user friendly too. You will find everything well labelled on screen and text as well as icon allows precise view. The sad part is the users cannot enjoy high end calibrations on this monitor as here you can make adjustments only for few basic settings including RGB values, sharpness, contrast and brightness. People rate its settings menu to be precise and user friendly with higher simplicity. There are limited options on menu but they offer access to all useful properties. The color accuracy for Dell P2715Q is quite high and it ensures classic response for video and images. All details on screen are presented with very strong and rich color distribution on 3480x2160 pixel rating. It adjusts around 163 pixels/ inch on its 27 inch screen so that viewing experience can be enhanced with crisp details. The color gamut for sRGB spectrum provides 100% accuracy but in case of Adobe RGB it is limited to 79% only. 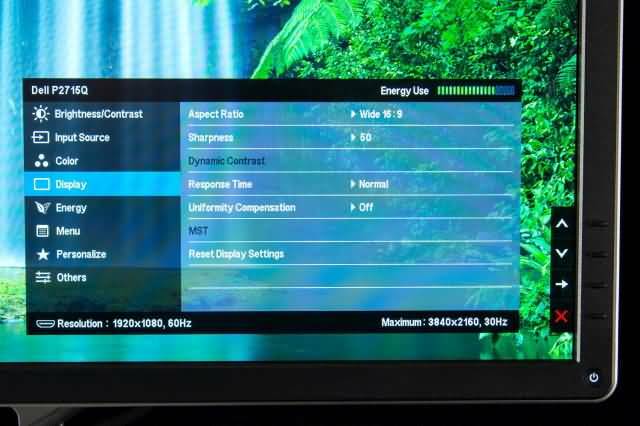 You will be glad to know that Dell P2715Q can maintain very decent performance for contrast ratio that varies somewhere around 690:1 when brightness level is maximum whereas it falls to 650:1 range for half of the full brightness setting. This UHD monitor is rated high for its response for color information because most of the cheaper 4K screens can ensure accuracy only around 70 or 75 percent. As already discussed, the out of box performance for this monitor is limited to 100% sRGB accuracy and only 79% Adobe RGB rating with contrast ratio variation between 690 to 650:1. But when calibration is completed then it can show little improvement over performance. The color response gets improved up to 80% with Adobe RGB value and the maximum contrast ratio varied up to 720:1. But it does not show any improvement for lower range of contrast that still sits at 650:1. If we talk about brightness then it was observed to be 332lux. The best part is that this panel possess semi glossy coating so that it can deliver consistent performance in all environmental conditions. Users can easily access the calibration settings to switch between default and customized settings. The gaming capabilities of Dell P2715Q were tested with GTX 980 GPU and it lead to impressive performance. This monitor delivered incredible picture quality but when it is used to play action games that required fast frame rendering then the fps rating was not able to follow the game card response. No matter whether you are a crazy gamer or a professional graphic designer, this monitor can handle all your needs well with robust package of features and easy to access settings. Watch the video below to get more information about the Dell P2715Q 4K Monitor. There is no doubt to say that Dell P2715Q offers incredible performance for almost all features as compared to other competitors that fall in same price range. Its durable stand allows users to handle it well for office as well as home based needs. There are lots of control options for easy settings of gamma, image quality etc that are not even offered by several expensive units. We can say that you need not to make any compromise for quality if you decide to buy Dell P2715Q. It will ensure you great performance for image and videos whereas games can be well played with customized settings.